2016 was the culmination of many global gatherings to make public spaces, streets, public markets, and placemaking a fundamental part of global development. The final draft of the New Urban Agenda mentions “public spaces” ten times, including the thrust of each of the key messages from our Future of Places conference series with UN-Habitat and Ax:Son Johnson Foundation. We also saw the placemaking movement go global with Project for Public Spaces’ first global Placemaking Week in Vancouver, as well as our involvement in Habitat III in Quito. As the global development conversation turns toward the implementation of the New Urban Agenda, placemaking is increasingly being recognized an indispensable tool for bringing together the causes, solutions, and disciplines necessary to make our cities safer, healthier, and more sustainable, resilient, and equitable. Amsterdam and the Netherlands, the hosts of this 2017’s Placemaking Week, are unparalleled in their placemaking success, and are now poised to facilitate the global placemaking movement and take it to the next level of impact. We also appreciate the generosity and leadership of our co-organizers STIPO, The City at Eye Level, Placemaking Plus and Pakhuis de Zwijger in taking the initiative to work with us to organize Placemaking Week and to showcase the innovation and openness of the Netherlands, its cities, and its people. This exciting event will give placemakers the opportunity to apply the lessons of this city (and others) globally. 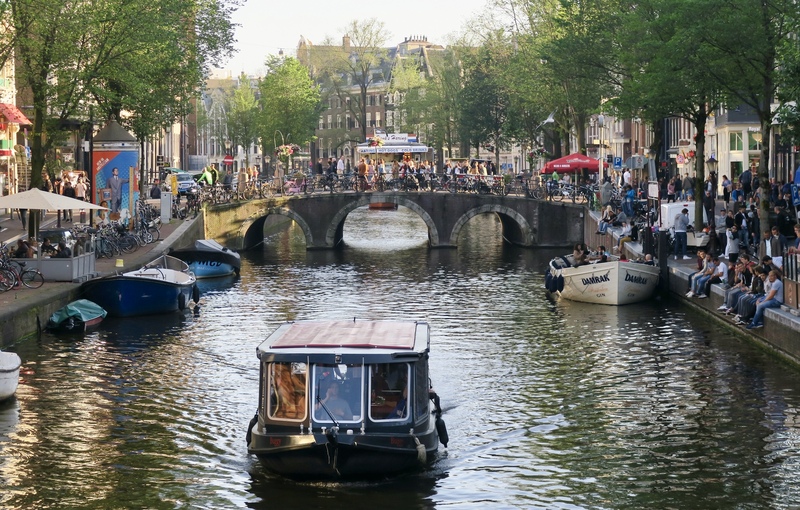 ‍‍As a city below sea level, Amsterdam strikes a remarkable balance between humane public spaces around its many canals and bridges and the innovative water-control infrastructure of the Netherlands. With such a strong placemaking focus in the Netherlands, the Dutch are also working around the world to support placemaking. Many local partners of Placemaking Week were also involved in Habitat III, and more recently many Dutch placemakers helped lead a conference in Nairobi with UN-Habitat on implementing the New Urban Agenda through placemaking. All of this great work has made it clear to us that it is only through global networks that models of place-led development will emerge and be put into practice. In the last five years, we have been building just such a network with the Placemaking Leadership Council, which now includes more than 1800 people from 520 communities and 94 countries. In preparation for the conference, we are imagining new ways to connect members through groups focusing on cross-cutting issues and on citywide, national, or regional efforts, including a European network that STIPO will kick-start through Placemaking Week. PPS has both been inspired by, and learned a great deal from the passionate placemaking we’ve experienced in Holland, and especially by the numerous informal placemaking projects that have recently begun emerging throughout the region. We have also hopefully supported some of this placemaking momentum through annual visits over 10+ years to lead trainings, workshops, and demonstrations projects. One of the key questions we continue to ask ourselves is how some of these informal placemaking projects and organizations, often led by early adopters we affectionately call “zealous nuts,” can scale up in partnership with governments and developers, without losing their soul. 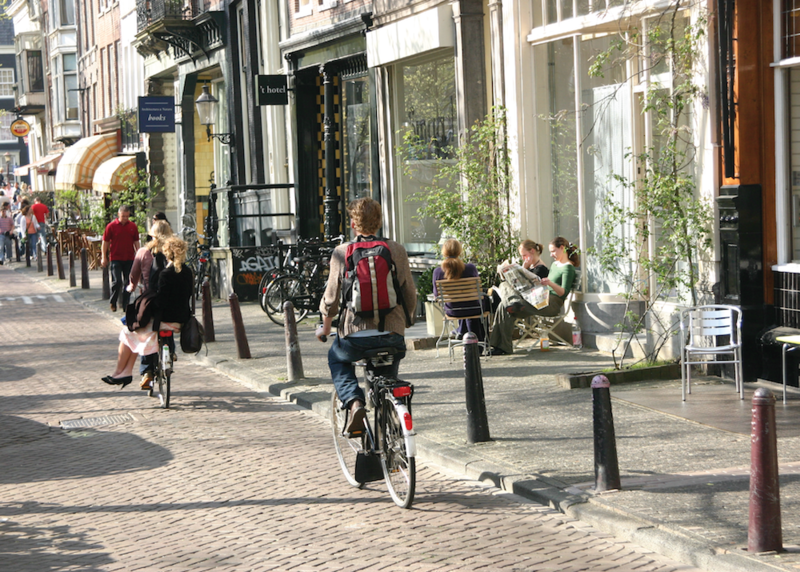 As a leader in the placemaking movement, just how the Netherlands develops successful policies and practices will be central to how place-led development takes shape globally. As my father Fred Kent is fond of saying, placemaking has long been about “turning things upside-down to get them right-side up” by starting with places and people in the form of small-scale, low-cost, informal interventions. However, the impact of these bottom-up initiatives can be limited when “lighter, quicker, cheaper” projects are treated as ends in themselves rather than as a means to a broader change. The challenge, but also the real opportunity, is to figure out how these interventions can also “turn upside-down” the way we participate in cities, the way we finance transitions, the way we do large-scale development, and how we think about governance structure. ‍‍Amsterdam’s world-famous cycling culture is the result of a long and intertwined history of activism, government support, and entrepreneurship. Placemaking should not be dominated by any one sector, as a successful placemaking process strikes a balance between many different interests and perspectives. There is room for leadership in a variety of sectors and contexts, including government, business, civil society, and, of course, communities themselves. Too often, these projects are still about one sector providing a service for communities and not about creating a future with them. Communities already have the ability and knowledge necessary to undertake placemaking themselves, but what they often lack is capacity—without the help of multi-sector partnerships, that is. The placemaking process is a way to bring different actors together in a constructive and collaborative way, to draw on more resources, ideas, and creativity for shaping places. Placemaking is about engaging, challenging, and empowering everyone to help shape their public realm, their city, their local economy. But to achieve this goal, we must make our cities more open and porous, from the building plinth at eye-level, to the planning process and municipal governance, to the resources available for starting small businesses or finding employment or education. Not only will this make our cities more inclusive and more beloved today, it will ensure they can take on any challenge tomorrow.